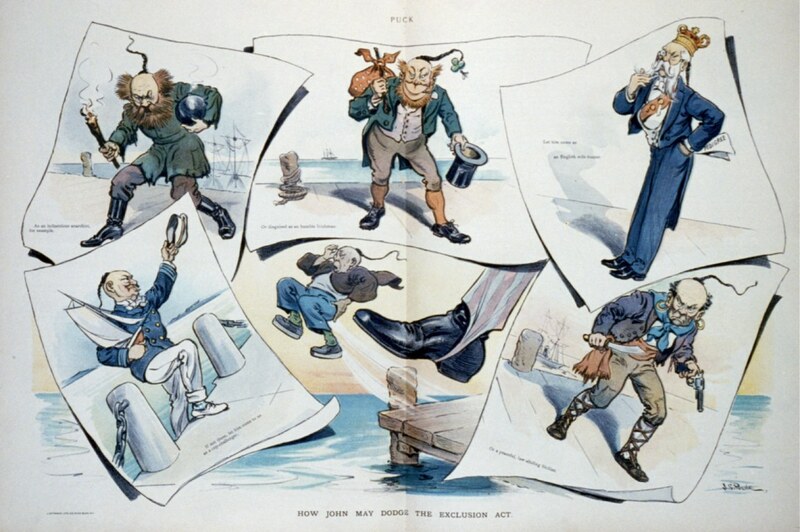 Political cartoons and illustrations from various publications and sources about Chinese exclusion and American sentiment towards Chinese. 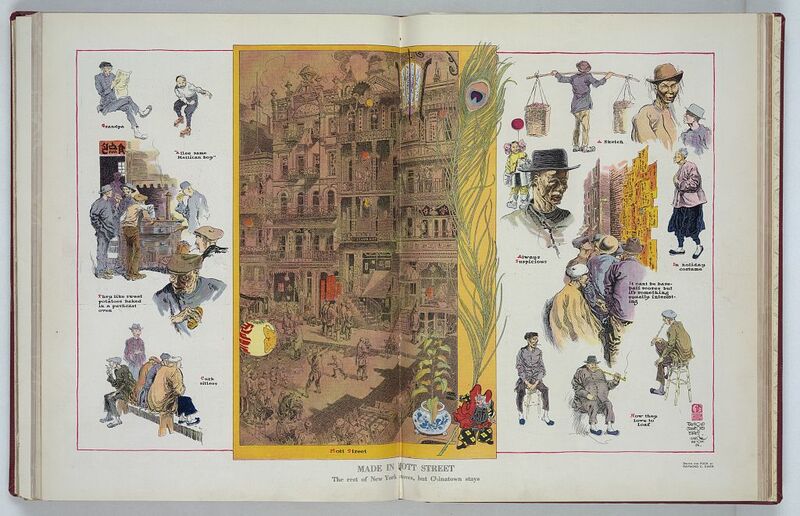 Sources: HarpWeek; Guide to the Chinese in California Virtual Collection from the Online Archive of California; and Library of Congress, Prints and Photographs Online Catalog (PPOC). 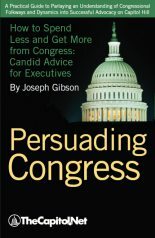 The heathen Chinee is perculiar. 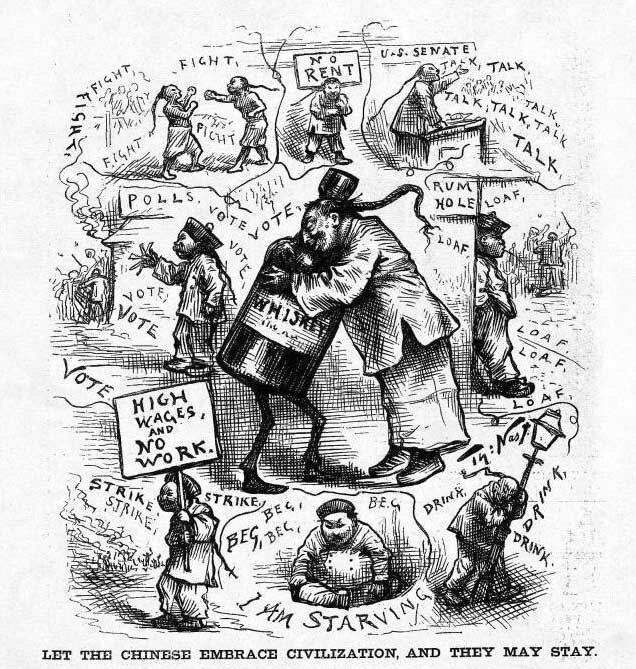 “Just So”: American cartoon by Frank Henry Temple Bellew (April 18, 1828–June 29, 1888), 1879, ridiculing Irish contempt for Chinese immigrants by inviting contempt for the Irish immigrants. 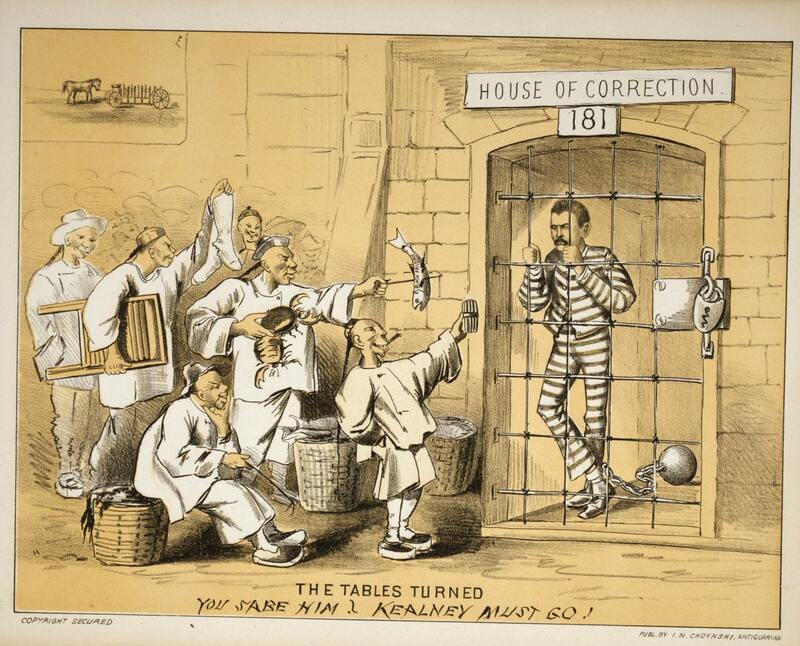 Denis Kearney wears a prison uniform in this lithograph called, “The Tables Turned : You Sabe Him? 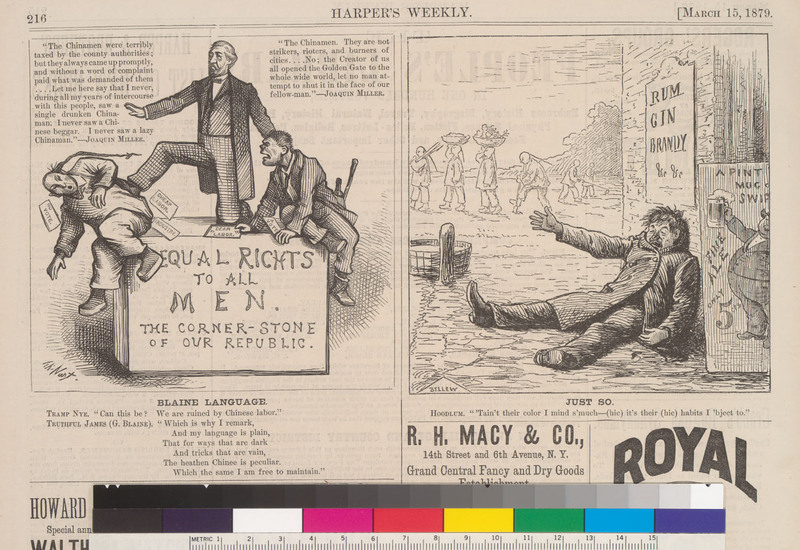 Kealney Must Go!” It was published by San Francisco book producer Isadore Nathan Choynski, and dates from late 1877 or early 1878, when Kearney had been jailed for inciting a riot. 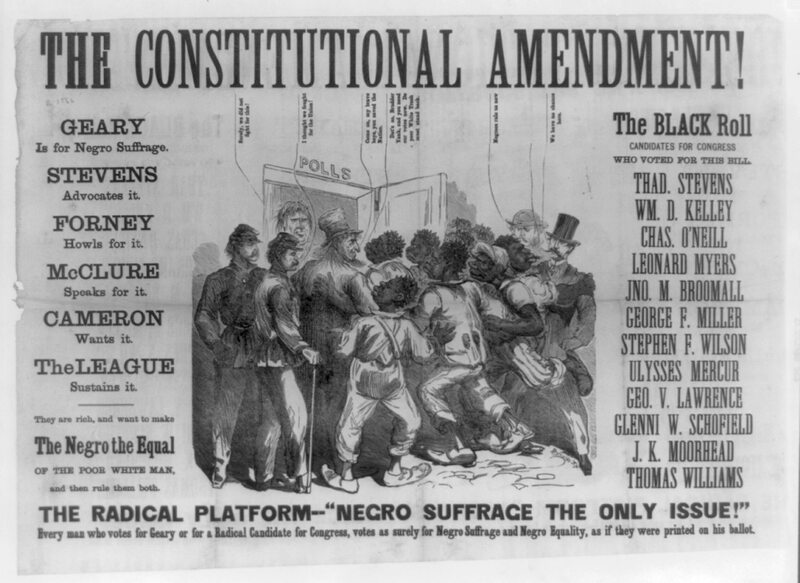 The San Francisco Board of Supervisors had passed an emergency ordinance banning incendiary speech following some of Kearney’s fiery speeches. 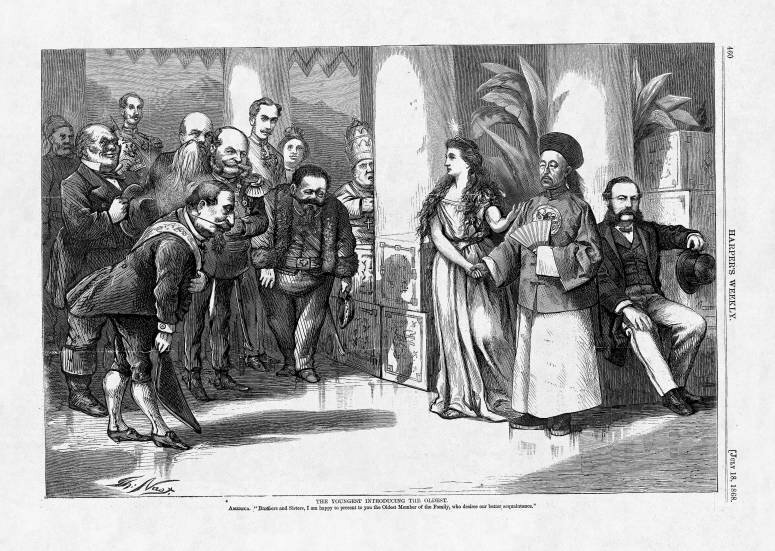 The lithograph entitled “The Tables Turned: You Sabe Him? 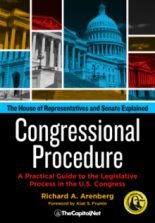 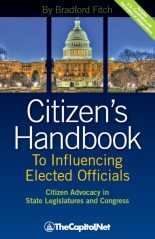 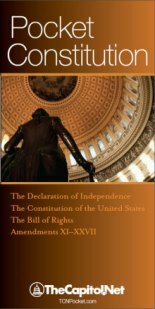 Kealney Must Go!” was published by book producer I.N. 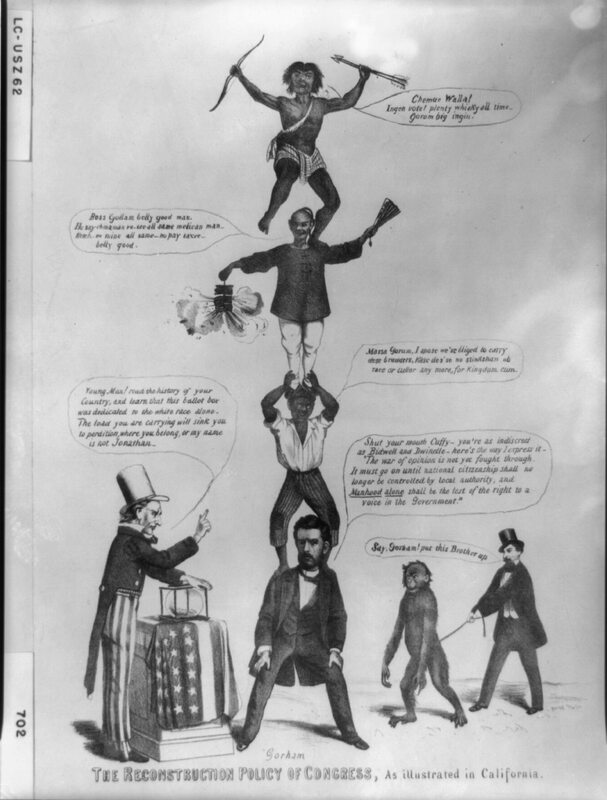 [Isadore Nathan] Choynski in San Francisco, probably in late 1877 or early 1878. 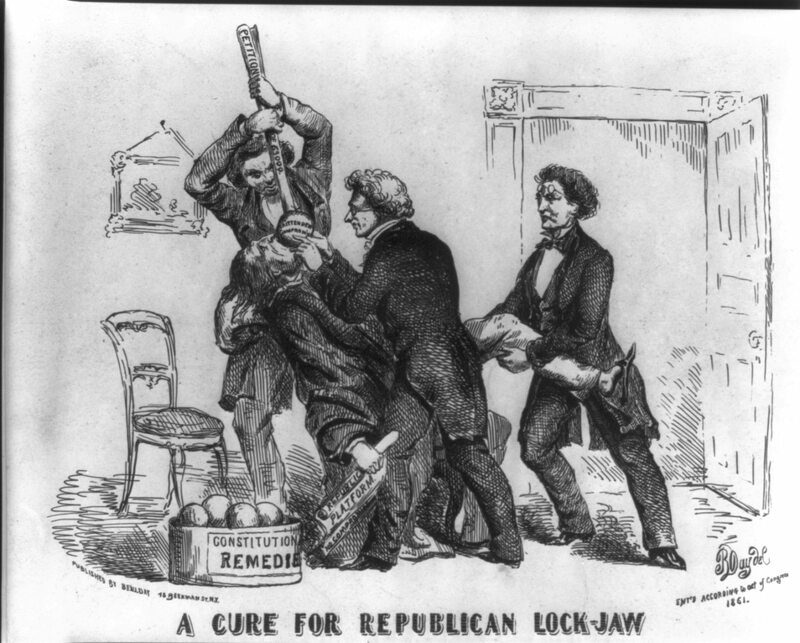 The print depicts labor leader [and “sandlot orator”] Denis Kearney behind bars in the San Francisco House of Correction, where Kearney was detained for numerous violations of a “gag law” hastily established to curb his agitation of San Francisco’s unemployed laborers. 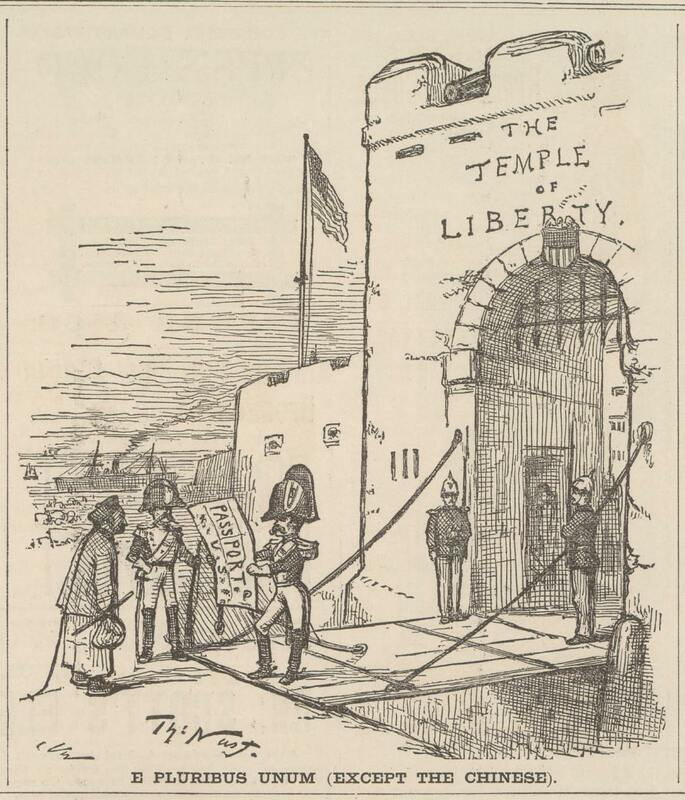 Outside the cell, a group of Chinese workers heckle Kearney, offering him the products (cigars, laundry, seafood) of their various jobs. 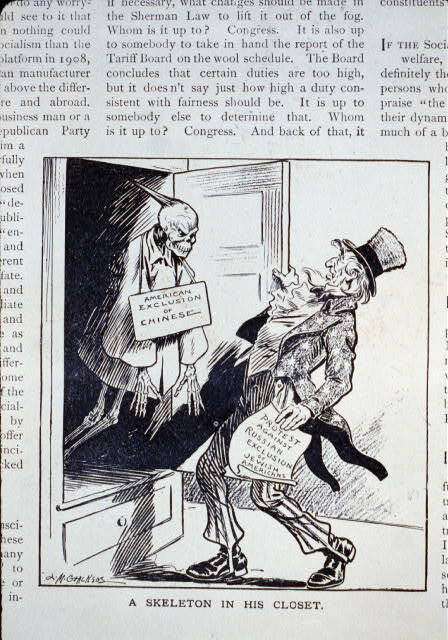 The print’s title alludes to Kearney’s rallying slogan, “The Chinese Must Go!”, with which he often concluded his speeches. 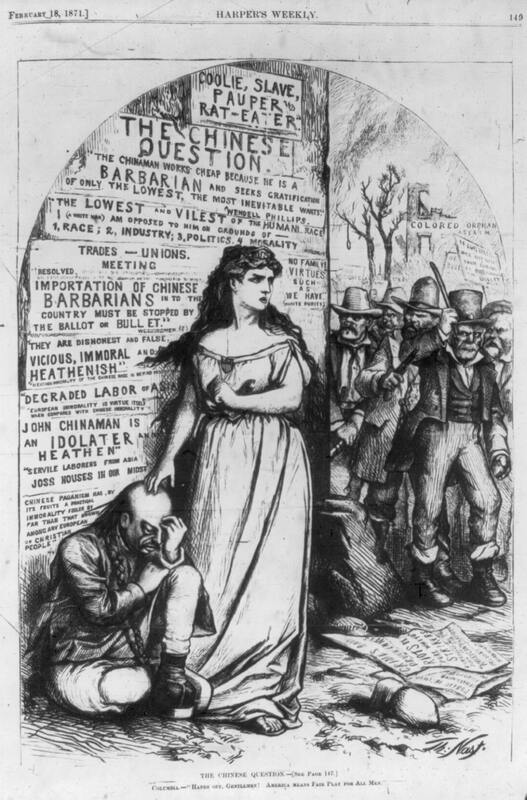 During the state’s depression years of the 1870s, the Chinese –by then a common target for scapegoating–were criticized and often persecuted by labor activists for their acceptance of low-paying jobs. 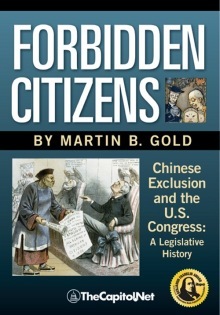 The anti-Chinese sentiment of this time was so extreme as to lead to violent riots and various legal demands–many of which were met–ranging from taxing Chinese employees to expelling them from the state. 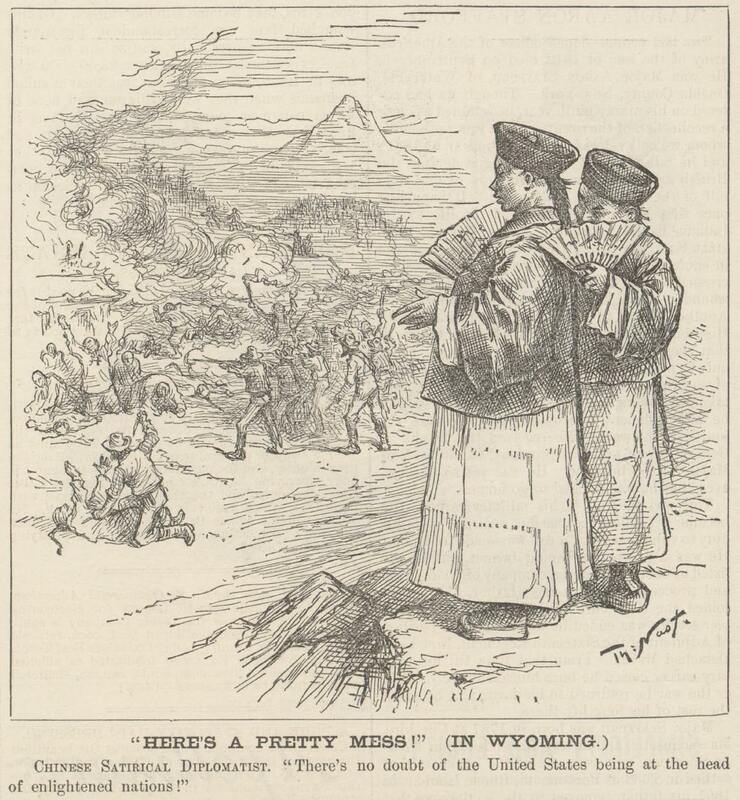 “‘Here’s A Pretty Mess!’ (In Wyoming),” by Thomas Nast, Harpers Weekly, September 19, 1885, page 623. 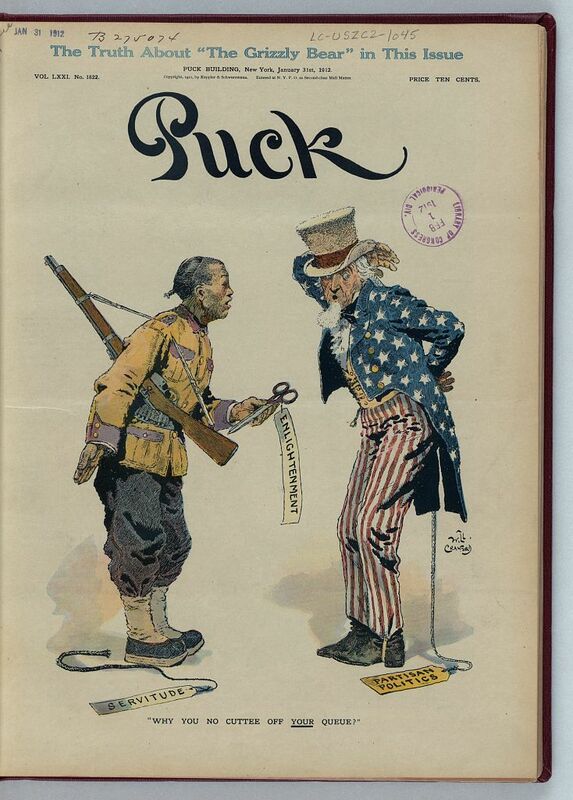 Caption: “Chinese Satircal Diplomatist: ‘There’s no doubt of the United States being at the head of enlightened nations! 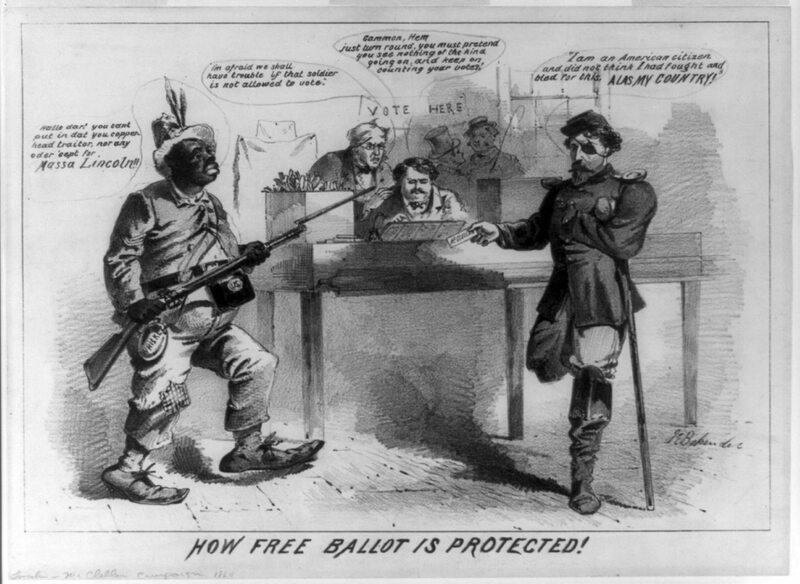 '” Referencing the Rock Springs massacre in Rock Springs, Wyoming, on September 2, 1885 (see § 8.21).